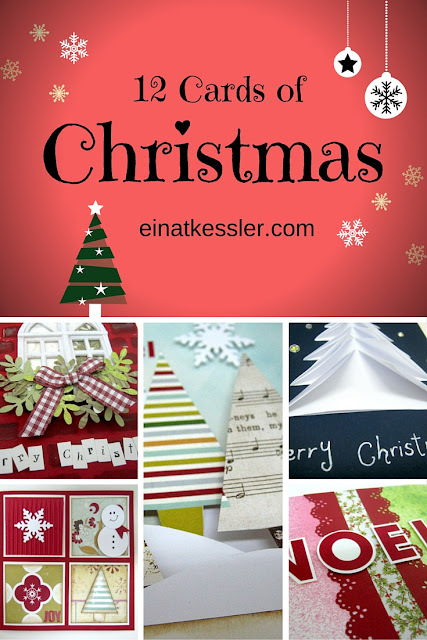 It's that time of year again when you have to decide if you're sending handmade cards or bought cards. I think the choice is obvious but sometimes it's hard to be inspired. So this year I'm back with the 12 Cards of Christmas series to help you get some inspiration! Every day starting Saturday a card video tutorial will be posted on my You Tube channel. 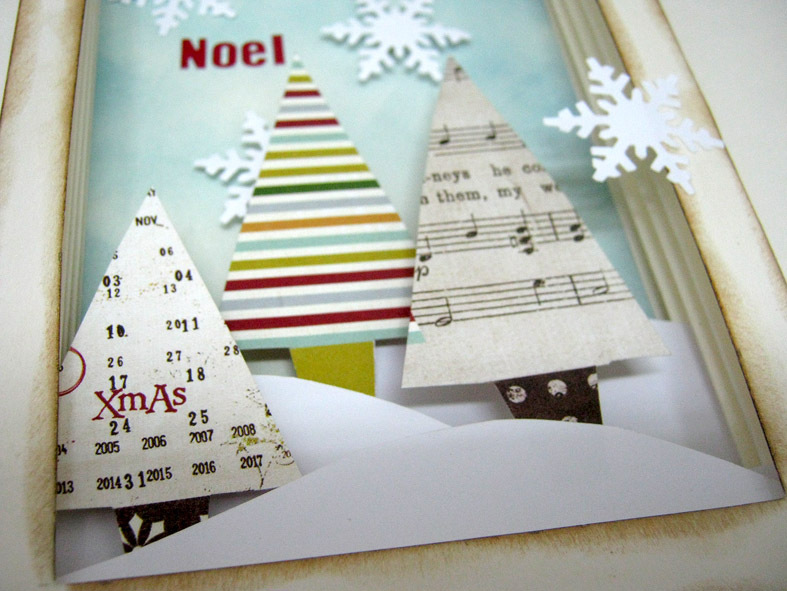 Different skill levels, techniques and supplies will guarantee everyone will find a card they like and want to make! The first card on the series is a really fancy beautiful card that doesn't require special practice but sure makes an impression! The 3D effect is very easy to create just by created folded "walls" to hold the images in different heights. It's all a matter of creating a perspective in the image by layering the images in changing distance from the back of the card. In this series will have a basic origami tree card so easy even kids can participate, a beautiful winter's night Christmas window with stenciling and punching. A card with tiles, which is fun and fast to make and is great for using those paper scraps. Will create a green and red card with bold letters and glittered icicles on a snowy night. Will also learn about pop-up, unique card shapes and much more! Make sure to tune in everyday to my You Tube channel so you will not miss any card.